This is me right now as well and I'm ok with it. Win, lose or realllllllllllly lose, it's a blast. I'm currently making some headway in Pillars of Eternity 2 Deadfire, and I really enjoy it a lot more than the first game, which I already loved. The setting of the Dyrwood felt very "safe" and while it hinted at the larger setting a lot, I feel nothing you saw would have been out of place in any bogstandard Western RPG game. Deadfire really gives Eora a unique and interesting flare, both by having interesting allusions to real historical events (the colonialism of the 17 to 19th century) but also by expanding the lore of Eora itself, the nature of the gods and souls. I also like how the Watcher in this one essentially becomes a sort of superhero, that goes toe to toe with all kinds of insane things. To be honest, it's probably the dumbest element in Deadfire, but I feel this game does enough smart things to be excused if it indulges in a few tired power fantasies. I beat Life is Strange and I decided to go with the bay ending. I just couldn't bring myself to sacrifice so much. I'm not sure what to play next? Maybe Grand Theft Auto 5? Zombi? Something random from my backlog after I look at my Steam, Battle.net, etc. library? Currently playing Dishonored 2. Just finished the clockwork mansion, a pretty cool level. I also played and beat the Replace a Stock Ryzen Cooler With a Noctua NH-U12S game. I'm playing - and very much enjoying - Crosscode, which is entirely charming. Well, I decided to start playing State of Decay 2. It's buggy though. I have even had to take FarCry new dawn off my buy list even though I have always bought them day 1. ...and I'm going to start Indiana Jones and the Last Crusade tomorrow. I can point. I can click. I can even point and click. I cannot however, rub my tummy and pat my head at the same time. Re2 Remake was going great... until I hit this 2nd boss on my Claire playthrough. The one in the sewer... area. Just... such a horrible boss design. Nothing fun about it. Kinda makes me want to just stop playing and resume my Witcher 3 playthrough until Metro releases on Friday. About halfway through Yoku's Island Express. It's not bad. Travel could be a little less annoying, but it's a overall nice experience. Something laid back to play before some of these other games in my backlog. $8.99 was definitely the right price for me, $20 is a bit on the high side. I dropped State of Decay 2 for now and I am currently playing through Starcraft 2: Legacy of the Void. I won Yakuza Kiwami from Queen, yay~ But there's another problem, my friend just lent me the copy of Kingdom Hearts 3. And Anthem is launching today. I don't want to rush any of them, so I'm totally lost. A fast paced, skill-based soccer game. Slide tackling is a ton of fun and scoring a goal is very satisfying. It's currently at a historical low price. A first-person puzzle platformer where you find blocks and use them as stepping stones to get to the next area. The second episode of To The Moon. Just started this and I'm hoping it lives up to expectations. Playing Crackdown 3 Campaign, and loving it. I've tried a few more VR games since I posted last. Raw Data is a nicely made wave shooter. The setup is simple, basically like your old school twin stick arena shooter where you get various weapons, maybe perk upgrades, turrets to place and so on, except it's in first person VR. The guns feel right and the enemy robot reactions to them with limbs and such getting blown off makes them feel meaty and fun. It also has co-op capabilities. I like it, I'll probably keep going back whenever I want some mindless action, possibly more than Epic's famous Robo Recall which while highly polished seems like something I'll only play through once. I also like that Raw Data has both teleportation and regular controls, these days that I've gotten used to all the locomotion methods I only like teleportation if it's integrated well with the game mechanics and setting as seen in Budget Cuts, otherwise I much prefer standard movement controls combined with your own body movement within your play area. The pricing doesn't seem to reflect the game's content, there are few classes to choose from and upgrade as you play and it's still just a wave shooter so, wait for a sale unless you have money to burn. If you don't like wave shooters I guess it won't change your mind either. Transference is a horror adventure/walking sim you can play in or out of VR. I only played a little bit. It seems well made, if perhaps a bit limited or simplistic in some ways. There are no object physics for example, if you grab something to check it out then let go it'll float in mid-air for a second then glitch back to its original position. It makes sense within its corrupted digital setting. Anyway, it's super scary and unsettling when you see everything around you in full scale and with banging audio in VR so I turned it off soon after starting it, haha. I even saw the first jump scare coming and expected they will do it with the way the space was designed being ripe for it but it still startled me when it happened. It's said to be fairly short and easy so I'll go back to it at some point despite being a scaredy cat as it does seem interesting with its story and real world actor performances, plus it might be less scary as you get used to it, but yeah. I also had Battlezone before getting VR. It seemed like a pretty simple game at the time, not a huge upgrade over the old arcade beyond giving it some more enemy types and structure in the missions (defend this, destroy that) and a campaign map to progress in (basicaly choose your next mission and win resources from the AI aiding the eventual final battle) but at it's core it's still just simple arena tank battles. I re-downloaded it to try it in VR and saw you can also play the original game remade within it with the wireframe graphics and everything and even the old school controls if you wish (you independently control the left and right tracks, both at once to move forward/backward or in opposite directions to turn). Anyway, the main game felt pretty cool in VR with a standard controller but the gameplay is still too simplistic for me, I wish they had given it some more depth and challenge, instead of letting you easily strafe around as if you're just an FPS character I would have loved it if it felt much heavier as if you're playing MechWarrior or something, with different control inputs for forward/backward throttle, turning the main body and independently turning and pitching the turret/weapons. They could have added some headtracking controlled sub weapons as well like Vox Machinae's mechs have. I'm sure I would have gotten much more into it with such a set up. I've played the other VR games I already had more too. I've already finished SUPERHOT VR if I didn't mention that, it was pretty great if short but the post-game content isn't the greatest so I hope we get a Mind.Control.Delete style expansion for the VR game like regular SUPERHOT is getting. Onward continues to be a great co-op experience in terrorist hunt mode, I don't know if it will reach its full potential but for now it's in very active development so hopefully it will as it's already fun, but if not then maybe another game will come along to take up the old school Ghost Recon style military sim mantle. Skyrim VR is great for what it is but I'll probably not play too much, the same issues from the non VR version which I already played remain but it's still cool to immerse yourself in such a large world in full scale and do things like semi-realistically aim your bow and arrow and crouch to sneak around and pull off stealth attacks. Karnage Chronicles on the other hand is probably the best made for VR dungeon crawl experience but I'll stop playing it until it's finished, it was great fun and the bugs are few but I don't want to spoil things. I do the same for every early access game that has a progressive campaign to go through, I try them out then wait for the full thing, but Karnage Chronicles was so fun I almost finished the existing content (2 large dungeons with some puzzles and a third that's mostly a lead up to a boss people say is really great but the next update will overhaul into a proper dungeon building up to it so I stopped before reaching it and I'll try and do the same for the rest of the game). I'm playing Crackdown 3 right now and I like it. And steadily progressing through Umineko episode 6 as well. And I think I'm close to the end in Axiom Verge as well. Finished Pillars 2, and about halfway done with Resident Evil 7. I'm really liking that one, though the boss fights so far all overstay their welcome by quite a bit. That's fine the first time, but if you have to repeat it a few times just because you didn't pace yourself in the early parts, that gets annoying quite fast. I will write up my thoughts on Pillars 2 in a few days, but I ultimately ended up liking even the main quest, which got quite a bit of criticism if I recall. It's mostly focused on lore, and less on typical action, so that might be the reason, but it ended up working really well for me. As God would have it, pretty hooked into Apex Legends for a while, need to find something else to play soon. Metro Exodus finished the first "map" in about 9 hours. I think there are 4 or 5 after that so quite long for a Metro game (and I love it). Playing Heartbeat, which I can't believe I haven't seen more people discussing. Out of 2018 JRPGs I'd probably put it above DQXI or Octopath. I put Kingdome Come: Deliverance on hold. I like it, but I just can’t get into the slow paced epic right now. Also, it can be clunky. However, the story and characters are so awesome. Therefore, I’m playing Hitman: Absolution. I played it when it came out, but I have the drive to run through again. Started Yakuza 0 this weekend. I need to get better at the brawling for sure but the city and the music are great. Also started The Evil Within. No huge on horror type games like this but ive been wanting to start this for a long while. really only just finished the prologue though so far. Definitely more of the same but I'm enjoying it so far. Currently playing through Snake Pass and Star Wars: Dark Forces. I'm currently on level 6 in Snake Pass and I need to finish 5 more missions to beat Dark Forces. Very much enjoying Metro Exodus at the moment. Performance could be better.. but it does look the part. Gives me yet another reason to replay it in the coming years. The series became basically Stalker-Light with Exodus i think.. so that's fun. Been craving another Stalker game forever, too. Just waiting for the Kiwami release later so I can dive in. Both Wits and Team are great. Team might be my favourite, though, mostly because Sophia is great fun. Wits is more challenging, but nothing impossible, Fists is ok as well, but I would recommend one of the other two. Thanks...looks like Team could be the way to go then. I just finished Crackdown 3. It was a good game, but I had bad performance in some areas. Not sure what I'll play next. Aviary Attorney. Great game with plenty of humor. I'm at that fun point in Crackdown 3 where I've done everything, but I'm missing one green orb. ONE! And I just can't let it go. 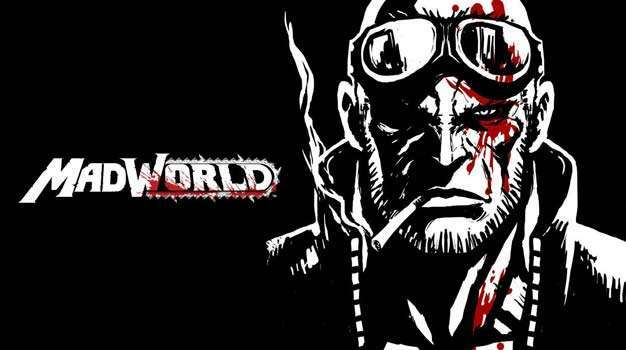 Just beat MadWorld on the Wii. That was a great debut for Platinum Games. I absolutely enjoyed the ride through this black & white styled gorefest of a game. Currently scouting for the soundtrack as it's fantastic to listen through these raps. It's a worthwhile look to anyone who's interested, though if you can't find it on the Wii, I do suggest finding alternative means to playing it. 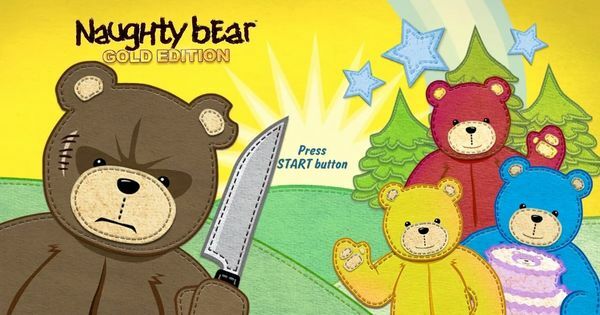 Now to finish up what I've started with Naughty Bear. I had fun playing the first few episodes, now let's see the rest of the game. Don't really game much nowadays - slowly going through Unavowed. Tried the Remaster, didnt enjoy it, movement felt off and it looks worse than PTDE with DSFix. Dirt Rally 2. At least I tried, but the game is unplayable using my wheel. Another reason not to buy games on release. Currently playing Shin Megami Tensei 4 Apocalypse, since I currently don't have my gaming PC and am studying in school most of the time. Gameplay is pretty great but I kinda dislike some of the characters compared to the older ones. Thought it would be a trashy fanservice game and it is but there's a bit more to the gameplay mechanics than I thought. DQ11 (thanks to Queen! ), 90 (!) hours in and i REALLY don't see that game will end soon. But still epic! Finally got around to the Metro series. A bit weird I didn't get around to it earlier, seeing as Stalker is one of my favorites. Started out by playing Metro Redux, and I was honestly not impressed. Enjoyable enough, but it felt very off for some reason. Decided to jump back and play through the original Metro 2033 immediately after finishing Redux, and I thought that was much better. Feels like a lot of the soul Got lost in the Redux version. On to Last Light. Decided to go with the original there, as the changes to the lighting in LL Redux seemed to make it overly bright in places. Enjoyed this one a lot. Much more action focused, but that wasn't a bad thing. Disappointed to see that all the DLC for Last Light has been removed from Steam, even though I own the complete edition. The argument is that it's all available for Redux, but as I said, the Redux version has some issues. Finished that, and I've now started Exodus. Playing it with HDR, RTX and Atmos for the full fat experience. Loving the Stalker like sections so far. Negatives are that the sound mix seems pretty bad, even though the positional audio works well. Voices gets drowned out a lot, and I'd prefer to play without subtitles. They've also changed a lot more of the interaction to "Hold button" which feels clunky on M&K. But I'm soaking in the atmosphere and looking forward to the rest of the journey. I was in the middle of playing through Far Cry: New Dawn, in between replaying Hitman 2 levels, but I wasn't in the mood to shoot things, so I finally properly played Two Point Hospital, and it's a lot of fun. It's a proper Theme Hospital spiritual successor. It plays just like the original, with more rooms, deceases, and customization options, and many QOL improvements in how you can control and tweak things. And now, it even features Steam workshop support. If anyone is in the mood for a game in the genre, Two Point Hospital is well worth a buy. Almost 50 hours played and I have still not beaten Tales of Zestiria. I love jrpgs, but they they are way too long games to beat. Putting the finishing touches on Metro Exodus. Replaying a few missions to see if I can get the good ending. And because I want to play them again. All in all, it's a great game. Best gunplay in the series with some really cool weapon customization. It rewards exploration more than most RPGs... and it's a shooter. So it pushed all the right buttons for me. I just wished they put a little more effort in the writing and English voice acting. I found myself not caring about the story very much, and it's hard to get invested in characters when the dialog delivery is so incredibly bad. I'll probably do a more involved Steam review soon. I'll definitely recommend it, but NOT ON THE EPIC STORE.